The southernmost point of Switzerland is easy to recognise because of the “milestone” indicating the coordinates, but also because of two installations that have been placed there: a paving that depicts Switzerland and a nice photo point. 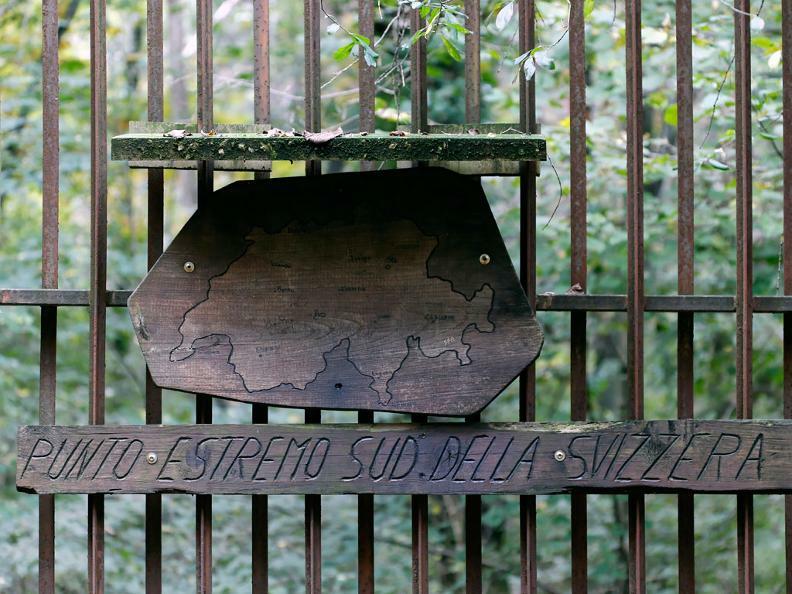 The southernmost point of Switzerland is on the Italian-Swiss border, on the hill of Pedrinate. 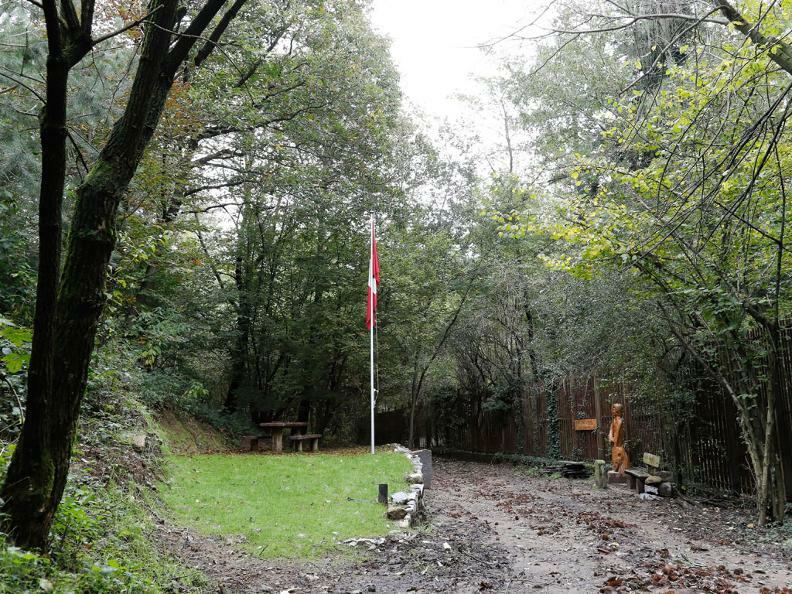 We suggest walking there along the “Sentiero delle Guardie” (Guard Path), which starts near the footbridge over the River Faloppia, near the border checkpoint. 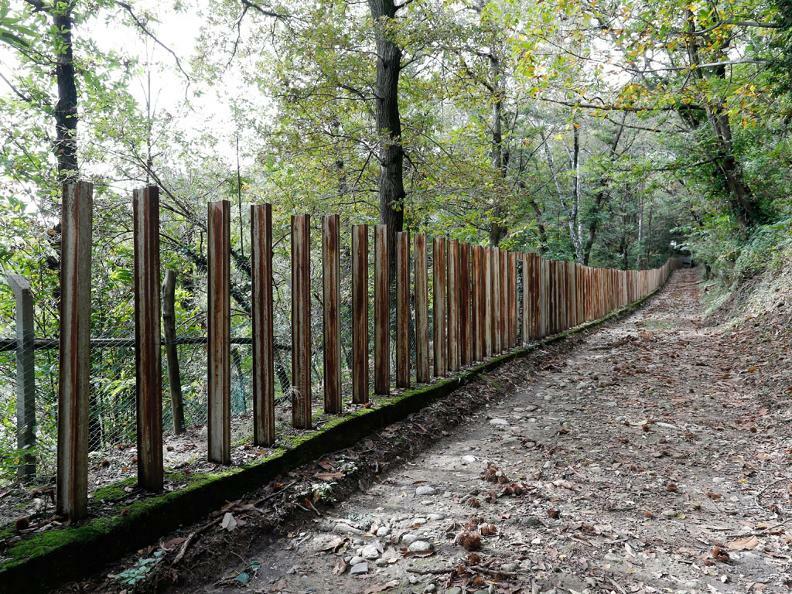 This recently built path gives walkers the chance to find out more about the activities of the border guards, who patrolled the length of that metal fence that marked out the edge of Swiss territory. 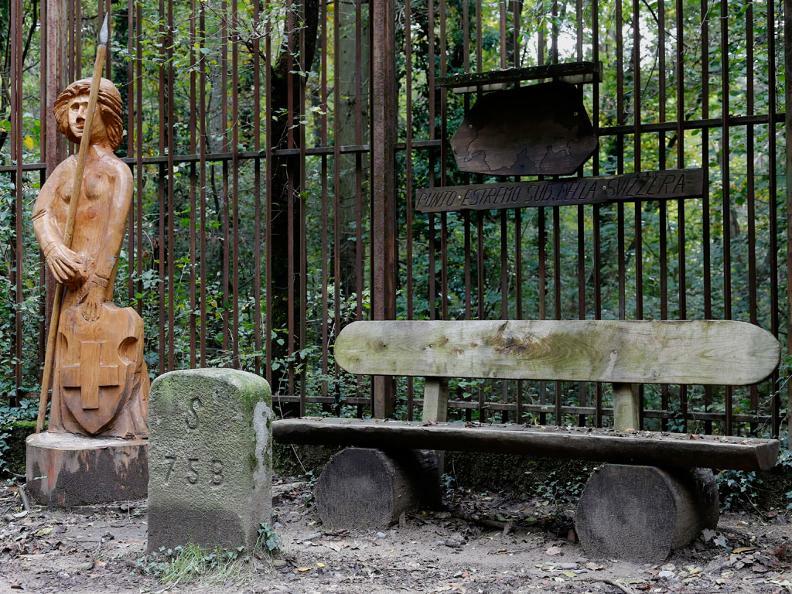 Alternatively, you can reach this place thanks to the Itinerary among Mendrisiotto's vineyards (n°2).